Orange Mound is the nation’s first subdivision planned specifically for African Americans. Here is a reenactment of the sale of the first lot from the land purchase. The neighborhood of Orange Mound (population 5,814) is a historic African American community located in Memphis, Tennessee, about 6 miles east of the city center. Its name comes from the Osage Orange shrubs on the grounds of the former John Deaderick Plantation (c.1825-30), on which the neighborhood was originally platted. The neighborhood was founded in 1890, when real estate developer Elzey Eugene Meacham purchased the land from the Deaderick family. Mattie Deaderick asked Meacham not to sell the land to “Negroes” but he disregarded her request and began developing the nation’s first subdivision planned specifically for African Americans. Meacham sold the long and narrow lots (25x100 ft.) for $40 apiece, charging a 50 cent deposit and minimal weekly payments. Residents had to build their own homes, churches, and other structures, but the opportunity gave the new community a sense of ownership and solidarity. Orange Mound's population remained heavily African American throughout the 20th century as the neighborhood gained a reputation as a refuge for blacks moving to Memphis from rural areas in Tennessee, Arkansas, and Mississippi. By 1970, Orange Mound was known as the American neighborhood with the second most concentrated population of African Americans, behind only Harlem in New York City. The neighborhood fell into decline in the 1980s and 1990s but since 2000 has experienced a revival, driven in part by older residents utilizing the neighborhood’s rich heritage to help influence the next generation to take a more active role in improving and maintaining the community. As a part of an effort to pass on its unique history, cultural institutions such as the Melrose Center for Cultural Enrichment (MCCE) and community centers like the Mt. 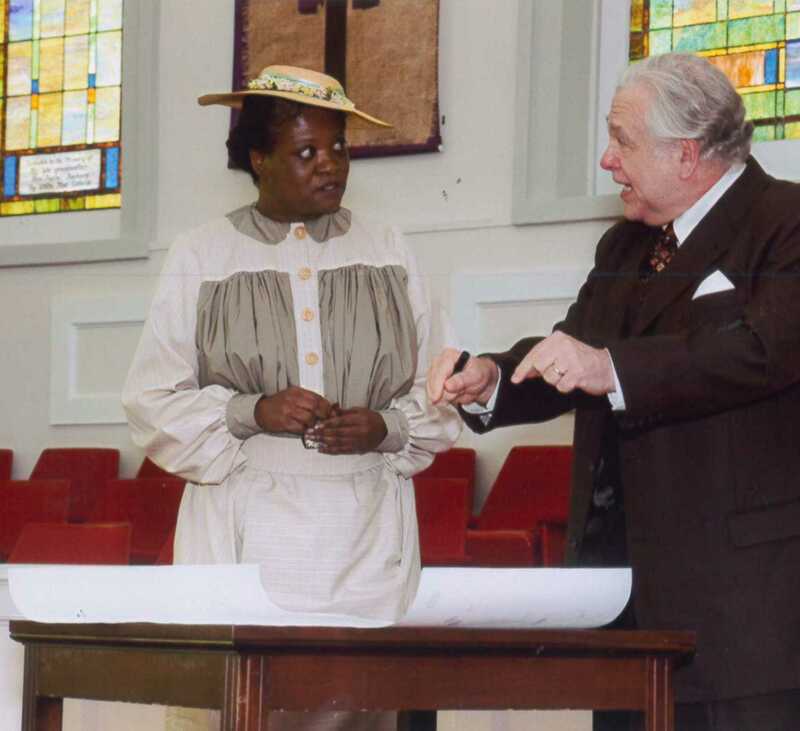 Pisgah CME Church support projects that engage the community, particularly young people, with its heritage. The MCEE maintains a local history records collection and sponsors school assemblies at which community elders transmit the history of the community to the next generation in the West African griot tradition. Students at Melrose High School who are interested in preserving and utilizing local heritage for community revitalization can now take classes in tourism. Recent classes, in partnership with the Memphis’ Blues City Cultural Center, connected elders and youth in identifying spaces and places which resonate with residents as significant historical and cultural assets and developed a local tour. Orange Mound’s 125th anniversary (2015) was a marked by series of heritage events that sought to acknowledge and preserve the cultural history of Orange Mound while emphasizing the importance of preserving its legacy as a self-determined neighborhood. Major programs included Celebrating our Legacy, the opening ceremony which honored 109 matriarchs and patriarchs (age 85 or older), sponsored by the AARP; The Beginnings of Orange Mound, a reenactment of the Meacham’s purchasing of 64 acres of the Deaderick Plantation and the sale of the first lot to Alice Speggins, held at the Mt. Pisgah CME Church; and Orange Mound: Past, Present, and Future, a performance directed by resident Joyce Dukes Shaw and staged in partnership with the Orange Mound Service Center Drama Ensemble, the Blues City Cultural Center, and Theater Memphis. The cast of Past, Present, and Future was primarily comprised of residents of the neighborhood, and the performance recounted the rich cultural heritage of Orange Mound, featuring acted scenes from “The Drag,” Orange Mound’s Park Avenue, as well as depicting musical entertainment at the W.C Handy Theater and the Golden Wildcats of Melrose High School. Additionally, the Middle Tennessee State University Center for Historic Preservation developed and operated a driving tour of 15 local landmarks. Overall, the 125th anniversary was a tremendous success and the result of the hard work and effective collaboration between local government and more than 20 private partners including non-profits, community-based organizations, educational institutions, and business enterprises. Among them was the Orange Mound Community Council, City of Memphis Division of Housing and Community Development, MCCE, Orange Mound Community Development Corporation, RedZone Ministries, ArtsMemphis, University of Memphis, Middle Tennessee State University, Memphis College of Art, Orange Mound Parade Committee, Kingdom Community Builders, Orange Mound Community Service Center, and Orange Mound Veterans Association. Orange Mound has also been involved in recent several small scale projects that contribute to sustaining community knowledge about the history of neighborhood, including serval documentaries and books. In A Community Called Orange Mound, filmmaker Jay Killingsworth examines the origins of the neighborhood and how it evolved over time; while Emmanuel Amido’s Orange Mound Tennessee features interviews with past and present residents including Grammy Award-wining jazz saxophonist Kirk Whalum, former National Civil Rights Museum president Beverly Robertson, and MCCE president Mary Mitchell. Both documentaries were released in 2013. In 2010, Dr. Charles Williams, Professor Emeritus at the University of Memphis, published African American Life and Culture in Orange Mound, an ethnographic study of the community’s socio-cultural history and evolution from 1890 to 1980; and in 2013, Orange Mound native Jay Fingers published a novel entitled Orange Mound. Inspired by Fingers’ own life, the book follows the love story of Art Sanford and Tuffy Shaw, as they try to make it in the hard and rough neighborhood that was Orange Mound in the 1990s. Interested visitors are encouraged to visit the MCCE. Local landmarks include the Mt Pisgah CME, Beulah Baptist, and Mt. Moriah Baptist Churches, all organized in the late 1800s and pillars of the Orange Mound community; Melrose High School, and Dunbar and Hanley Elementary Schools, established in direct response to the Brown v. Board of Education decision, and intended to demonstrate to federal officials and African Americans that public schools could be “separate but equal;” and the Deaderick Family Cemetery, the remaining physical evidence of the original early 19th century plantation. Strong local support for preserving Orange Mound’s rich heritage as the nation’s first wholly African American subdivision has proved to be a catalyst for its revitalization in the 21st century. Residents are committed to passing on this commitment to the next generation of Orange Mound citizens. Designated a Preserve America Community in October 2016.